Quite a few substitutions. Good idea. 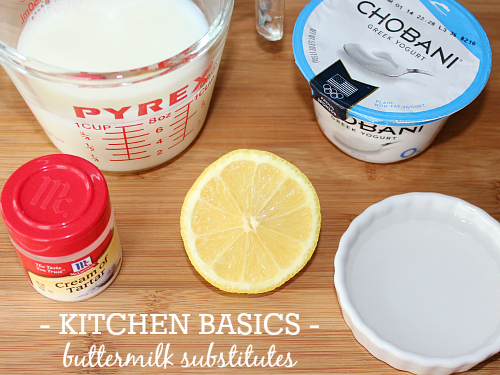 I never buy buttermilk any more - I just use the milk + vinegar trick. It's so helpful to know things like this to save money in the kitchen! Thanks for linking up at Family Fun Friday. I'm featuring you this week!